With the advent of new technology, the potential that next generation sequencing (NGS) application holds in genetic counseling, disease management and treatment, and risk assessment is remarkable. From a clinical perspective, the technology can be applied to prenatal diagnosis, molecular diagnosis of genetic and infectious diseases, medical genetics and pharmacogenomics, carrier detection, cancer molecular diagnosis, and prognosis. In terms of technology, targeted sequencing and re-sequencing is a major contributor to the clinical oncology next generation sequencing market in the U.S. This technological segment will gain traction by enabling even higher throughput at reduced price per sample. Due to a decrease in the complexity of implementation, the use of whole genome sequencing (WGS) technology to make comparisons between tumor tissue and normal tissue is expected to witness a steep rise during the forecast period. In addition, researchers are of the opinion that through WSG everyone will be able to develop a personalized treatment plan. The segment is expected to grow further with the introduction of new tools such as NextSeq and MiniSeq platforms, which are likely to enhance the implement ability for a broad spectrum of research labs with varying sequencing needs. Based on end user, the U.S. market for clinical oncology next generation sequencing is segmented into pharmaceutical and biotech entities, clinical research, academic research institutes, and hospitals and clinics. Owing to growing awareness regarding the benefits associated with the implementation of second-generation sequencing in academic and university-based research projects, academic institutes will hold a strong presence in the clinical oncology next generation sequencing market. There are numerous players operating in the U.S. market. To hold their dominant position, many are banking on capitalizing data analysis requirements and need for more robust sequencing platforms through mergers and funding deals between major and minor players. A case in point would be Partek collaborating with Kennedy Krieger Institute. Together they have developed a commercial software for analyzing chromosomal abnormalities in diseases such as autism spectrum disorder, bipolar disorder, and schizophrenia. With continued enhancement of new sequencing technology, next-generation sequencing (NGS) is being increasingly used in cancer genomics research. Also known as massively parallel sequencing, these days NGS is being leveraged in clinical oncology to provide improved tailored therapy for cancer. Next generation sequencing finds application in detecting rare forms of cancer mutations, uncovering familial cancer mutation carriers, and in providing molecular rationale for the exact targeted therapy. Hence, it is widely considered as a disruptive technology in the area of cancer treatment. There have been many noteworthy achievements in the field of cancer genetics in the past couple of years on account of cutting-edge technologies and tanking costs of next-generation sequencing (NGS). 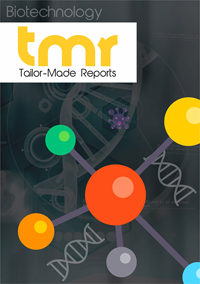 The report by TMR Research offers key insights into the U.S. clinical oncology Next Generation Sequencing (NGS) market. It studies the degree of research and development in next generation sequencing for clinical oncology and furnishes crucial market figures from 2017 to 2025. Next generation sequencing has a number of advantages over traditional sequencing. First is its ability to completely sequence every kind of mutations for a large number of genes in one test cost-effectively. However, challenges exist in leveraging NGS, especially with respect to the need for simpler assays, more flexible throughput, reduced turnaround time, and most importantly in analyzing and interpreting the data. Overall, continued efforts to apply NGS in clinical oncology will take us one step closer to personalized medicine. In the U.S., the clinical oncology next generation sequencing market has been buoyed by the astute initiatives of the government in the field of research and development in oncology. For example, loans and grants have been liberally disbursed by the U.S. government and various funding bodies to bring down the gap between genomic sequence analysis platforms development and their use in oncology research. In the near future, the substantial increase in spending related to cancer in the U.S. is slated to further drive up the demand for second generation sequencing platforms for diagnostic monitoring and theranostics applications. A major challenge to the next generation sequencing is the time taken to uncover insights from the copious amount of data generated after the genome is sequenced. While this benefits the cancer patients as its aids in accurately studying many genes simultaneously that may be relevant to the patient’s tumor by using only a small amount of tissue at a reasonable cost, it also accords innumerable opportunities to commercial service providers to come up with proper solutions in much less time. To present an in-depth assessment of the competition prevailing in the U.S. market for clinical oncology next generation sequencing, the report profiles companies such as Roche, llumina Inc., Pacific Bioscience, Agilent Technologies, GATC Biotech Ag, Macrogen Inc., Oxford Nanopore Technologies Ltd, Foundation Medicine, Life technologies Corp, Exosome Diagnostics, CLC Bio, Paradigm, Perkin Elmer, Inc, Inc, Partek, Inc, GnuBIO, and Caris Life Sciences.